Don’t think as the leader you have to have all the answers. Can I learn something myself by reading a book or a great blog? Yes. But, hey, I’m a golfer. I take lessons frequently. I need outside perspective on my swing. Seeking guidance can help inform where I am and help me focus on the things that I need to continue to develop and give me some ideas for how to do that. Asking for help is not weakness; in fact, it enables you to always make decisions from a place of strength. So, seek help when and where you need it. That is always a sign of strength. I had the pleasure to interview Wendy Foster. 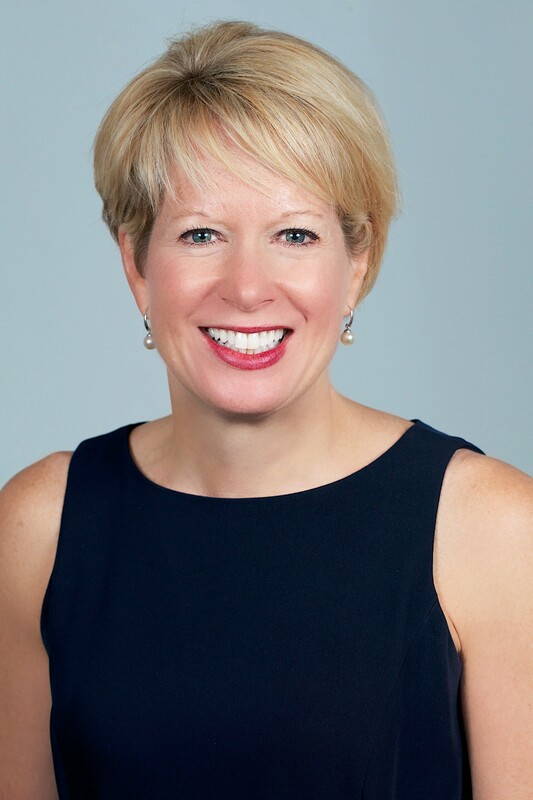 Wendy is President and CEO of Big Brothers Big Sisters of Massachusetts Bay and is nationally recognized for her leadership within the Big Brothers Big Sisters network. She leverages 30+ years of top-level management experience in the nonprofit and for-profit sectors, as well as project and technology development skills to support the 3,200+ children the agency serves and the thousands more it is scaling to reach. She previously held executive positions at America Online (AOL) and Time-Life Inc., and is a member of the LeadBoston Class of 2010, The Boston Club, and the Massachusetts Women’s Forum. Wendy received the 2017 Pinnacle Award for Nonprofit Management from the Greater Boston Chamber of Commerce and is a ‘Big Sister’ to ‘Little Sister’ Shanell. When I was younger, I wanted to be a radio or TV interviewer like Terry Gross or Larry King. I’m a voracious learner. I always had my head in a book and loved learning about everything and anything, especially learning about people and what they do — what makes them tick, how they got where they are, what they think. However, after graduating Cornell with a B.A. in Psychology, Sociology and Linguistics, I knew my path was leading me in a new direction. My first job was as a junior account manager in a direct response advertising agency. In this, and subsequent more senior account services roles, I learned that my early love of learning and my constitutional desire to know a lot about a lot was a perfect fit. It turns out that I have always been a strategic thinker and “general manager.” I loved learning about the specialties that people have — media planner, production supervisor, copy writer, art director, casting agent, etc. — and orchestrating all these specialties to deliver a great service. In the early 2000s, I switched gears from for-profit to non-profit, joining Big Brothers Big Sisters of Massachusetts Bay as the Vice President of Program Services, running a department of specialists in social work, human services, child safety practices and program research and evaluation. Gathering all my previous interests and skillsets, I was able to come up to speed quickly and learn to ask the right questions to orchestrate a group of specialists to deliver a high-touch human service. Now in my role as CEO, where fundraising and external relations are a big part of what I do, I rely on my love of learning and my curiosity about who people are and what makes them tick to find the intersections between people’s interests, their desire to make a difference in our community and our organization. I took the helm of the organization as CEO in January 2009 just after the terrifying stock market crash in the fall of 2008 and at the start of the subsequent recession. The dramatic downturn in the economy had a significant negative impact on our fundraising, and my first act as CEO was to take the necessary step of downsizing our organization by 40 percent. We are growing and stronger than ever today because we took that difficult decision, but the human toll in disrupted lives and the loss of dear colleagues who were passionately committed to our mission was heartbreaking and humbling. Then there was the job of picking up the pieces internally, righting the ship and setting a new course for the organization. It was a leadership crucible that I will never forget. When I first became CEO during that trial by fire, I was so focused on fixing things that I failed to stop and take the time to really introduce myself to each of my direct reports — get acquainted with them, find out how they like to operate, tell them how I like to operate, find out what they needed from me, tell them what I expected from them and what they could expect from me, etc. As they tried to “figure me out” and interpret, for example, what it meant when I forwarded an article I thought was interesting with a nugget that related to our business (at two in the morning) and what kind of response I expected (answer: none, I was just forwarding something I thought was of interest), it caused them a lot of anxiety and it created problems for our ability to work best together. I learned that as a leader you are always being watched and your team is always trying to understand what you want in order to deliver for you. I learned a lesson in how important it is to effectively build and continuously tend to your relationships with your team. Big Brothers Big Sisters of Massachusetts Bay is one of the nation’s leading one-to-one mentoring programs and the largest Big Brothers Big Sisters affiliate in New England. Our mission is to inspire, engage and transform communities in Eastern Massachusetts by helping youth achieve their full potential through the power of a dedicated, positive adult role model. As we approach our 70th anniversary as an organization, I can confidently say that we are one of the most innovative and energetic nonprofits in Massachusetts. We are never content to stand still and are constantly innovating and pushing boundaries beyond what is expected to assist us on our mission to serve 5,000 children by 2022. For example, in the last five years, we’ve created and launched a new, field-leading youth outcomes framework to evidence the impact we deliver and improve the effectiveness of our programs; we’ve deployed new technology like Salesforce to enable us to better track our workflows and manage our constituents; and we’ve moved our enrollment process online to make it easier for volunteers to apply to be Bigs, driving up the efficiency of our volunteer recruitment efforts to help us reach the more than 1,500 youth on our waiting list. Another example is our first-of-its-kind partnership with Uber, which was established back in May 2016 with the support of Uber Boston’s general manager at the time, Chris Taylor, and former Boston City Councilor Tito Jackson. The program helps us solve a major barrier to service: the lack of public transit access in many of Boston’s communities. Using Uber’s fleet of on-demand rides, this program makes it possible for Bigs without a car to get to the kids who need their friendship the most. Through the partnership, Uber provides free weekend rides for volunteers to visit their Littles living in hard-to-reach locations and gives them the ability to explore Boston and visit landmarks — such as Fenway Park — that those children otherwise would never have the opportunity to see. Not only has this program enabled us to increase service in areas where our waiting list was ever-growing, but it has also inspired several other nation-wide Big Brothers Big Sisters affiliates to adopt similar programs. We are introducing an exciting new program model called Mentor 2.0 in collaboration with our partner iMentor. Mentor 2.0 is a college-access program targeted to high school students who will be the first in their family to attend college. We partner with a whole high school and commit to matching every student in the school with a college-educated mentor for all four years of high school. The program is technology-enhanced with students and their mentors communicating through a combination of face-to-face and online communication. Students in this program have significantly higher rates of high school graduation, college access and college persistence. We hope to grow to have 1,000 students in this program over the next few years. As a leader I ask a lot from my staff, but not more than I ask of myself. I continue to push all of us to improve and reach higher. I believe my team can achieve anything they set their minds to, and I see my role as being the chief cheerleader and champion of their success. On top of this, be relentless in the pursuit of building the strongest possible team — hire people who are smarter than you are! — and make it a priority to build a team that represents a diversity of perspectives, life experiences and talents. There is ample statistical evidence that more diverse teams make better decisions. And finally, break boundaries. Blaze new trails and refuse to be limited by other people’s ideas of what you can achieve. When managing a large team, pay extra attention to communicating. Communicate, communicate, and communicate! Make sure your team knows what you expect and where you want the team to go. Make sure your message is being heard, not just at the top level, but throughout the team. Allow yourself to be less than perfect. I can relate to wanting to be perfect, to be exceedingly excellent and set an example. I have set a very high bar for myself and am my own worst critic. If your “critic voice” is all you hear, if in the pursuit of being perfect (which no one is), you’re constantly putting yourself down and constantly focusing on what, in hindsight, you could have done better, then you are coming from a place of weakness. Don’t place this unnecessary pressure on yourself. You’re always learning new things. You’re always going to be improving. You’re not going to be perfect from the get go or all the time, and frankly, you don’t have to be. You do have to be competent. I give myself permission to view my role as one of learning and growing. I am confident in my growth, which gives me a platform to operate from a place of strength. Ask any successful person how they got where they are in life and they’ll tell you they had mentors all along the way. I believe in the power of mentoring so much that I chose to work for an organization dedicated to providing mentors to in-need children. If you have benefited from a mentor, I think it is important to pay that forward. We all have something to give, and I never turn down a request or an opportunity to serve as a mentor myself. One of the most important things I have learned is that mentors come in all shapes and sizes; those who are younger and less or differently experienced than you are can be some of the best mentors. In fact, my daughter has always been one of my most influential mentors. As to a particular person I am grateful for in my life who has helped me get where I am, that is most definitely my wife. She has been my number one cheerleader, shoulder to lean on, wall to bounce things off and thought partner. I literally couldn’t do what I do without her support. Every child has an innate and boundless potential within themselves and together we need to defend that potential and help clear a path to each child’s biggest possible future. Unfortunately, thousands of children in eastern Massachusetts are growing up without adequate adult support that enables them to thrive and fulfill their potential — and that is where we come in. 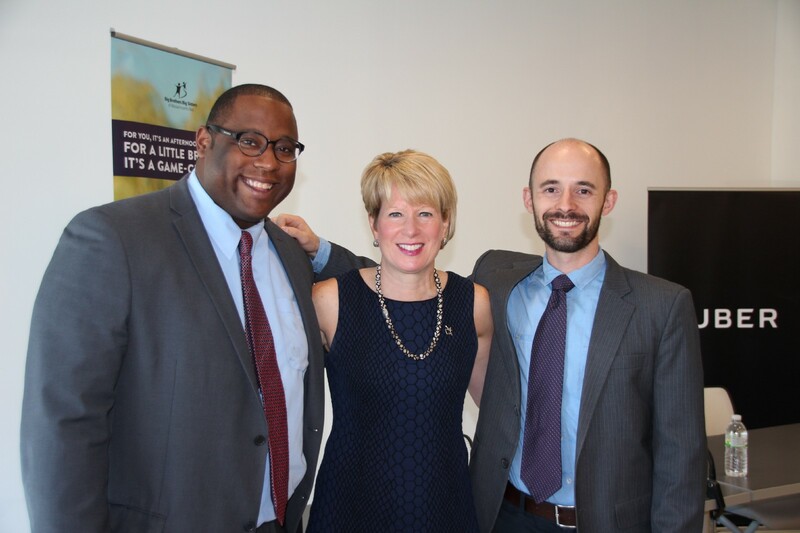 I endeavor to bring goodness to the world along with my colleagues at Big Brothers Big Sisters of Massachusetts Bay by scaling our service to reach as many children as we possibly can and always keeping the quality of our work front and center. We create transformational and influential relationships between adults and children that directly impact a child’s development; each one is thoughtfully created and professionally supported. I have an immense gratitude for our fantastic roster of volunteers, donors, board members, corporate sponsors and strategic partners. Each of them enable our program to help more than 3,200 under-resourced youth develop their character, gain exposure to a world of possibility, encourage a love of learning, help them to achieve their dreams and bring their own goodness to the world. I was an avid motorcycle rider for a few years (BMW R1150R, for the enthusiasts out there), and the roaring winds and open roads taught me valuable life and leadership lessons. Riding requires you to be present. You can’t let the fun of the ride distract you from the danger and you can’t let the danger distract you from the fun. Leading a business is no different. The most valuable strength, courage and confidence can be gained by doing things you never thought you could. My career began in advertising, then I was marketing director and later served as senior executive, but it was only in 2003, 20 years after starting my career, that I decided to transition and work towards a greater purpose. While the yearning to make a difference in the world drew me to the nonprofit sector, my previous corporate experience enabled me to initiate organizational change and growth at Big Brothers Big Sisters of Massachusetts Bay. Do not be afraid to take the long way around. You might get lost on these back roads, but you will be a better rider for it and who knows — you might even find a short cut. One of the most important things I have learned in my career is how important it is to know yourself. Know your strengths and your weaknesses. Celebrate your strengths by starting each day reminding yourself you have a lot to offer; and, just like checking your blind spots on the bike, recognize and work on your weaknesses by always pushing yourself to grow. No matter how proficient of a rider you become, you always need to be aware of your blind spots. Above all else, listen for your inner voice and trust what it is telling you. Be your authentic self. You are at your best and are most powerful when you are really being you — this is how you become a leader. I think that movement already exists and it’s called Big Brothers Big Sisters! If each one of us would either mentor an under-resourced child or make a donation to support people who do, we could easily make sure that every one of the 8.5 million children in America who want and need an adult mentor gets one. I think people are scared they don’t have enough time, but I don’t think that they realize you never have to make time for the things you like to do, you just naturally find the time. I’m starting my eighth year as a Big Sister and not once have I been unable to find the time to spend with my Little Sister because she is someone I care about and have so much fun with. One of my favorite quotes is “A hundred years from now it will not matter what my bank account was, the sort of house I lived in, or the kind of car I drove… but the world may be different because I was important in the life of a child.” It reminds us that life’s meaning isn’t about pursuing our pleasure and satisfaction but is what we give of ourselves to others. It motivates me to do my best, helps me to motivate others to join our movement and helps to keep me going!